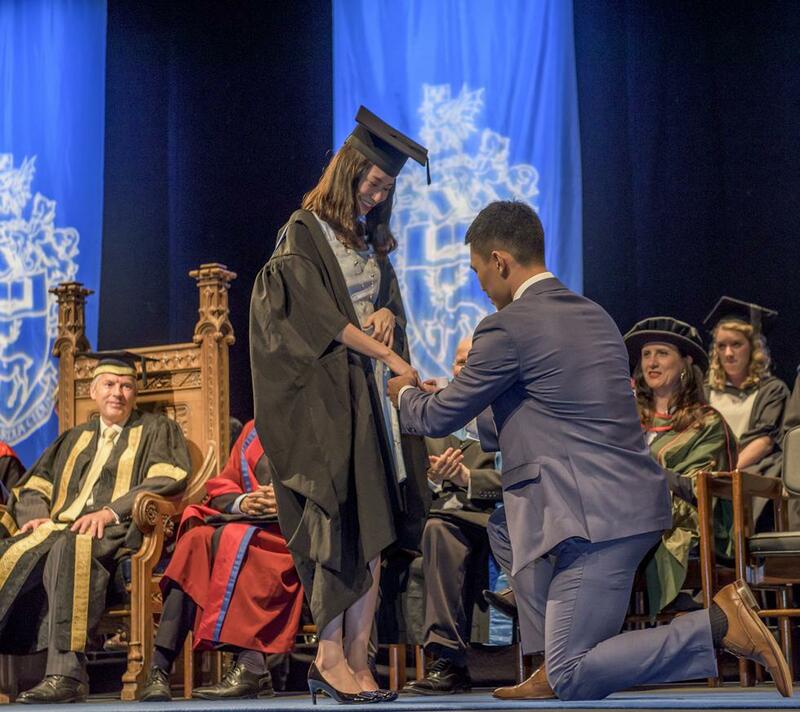 As a first for graduation ceremonies at the University of Southampton, a student has got down on one knee and made a proposal of marriage in front of hundreds of other graduands. 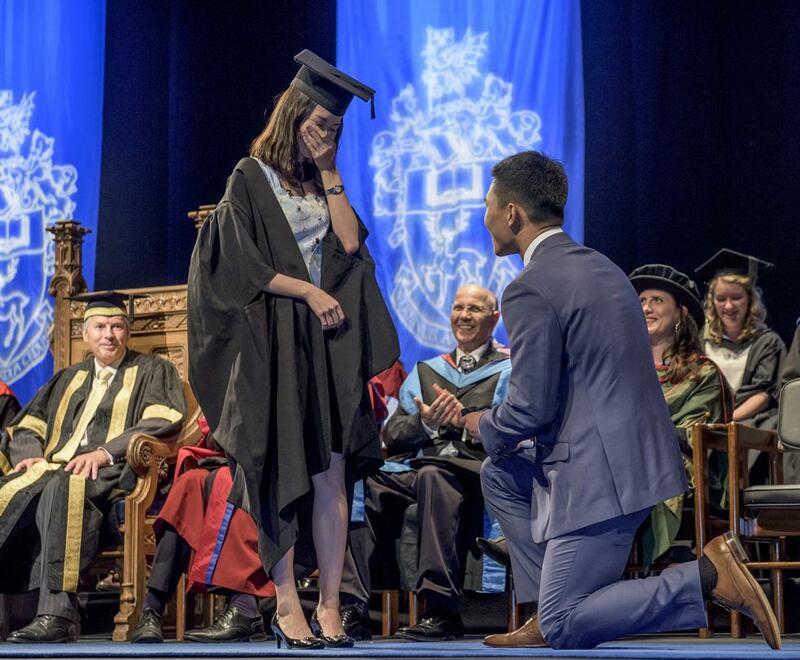 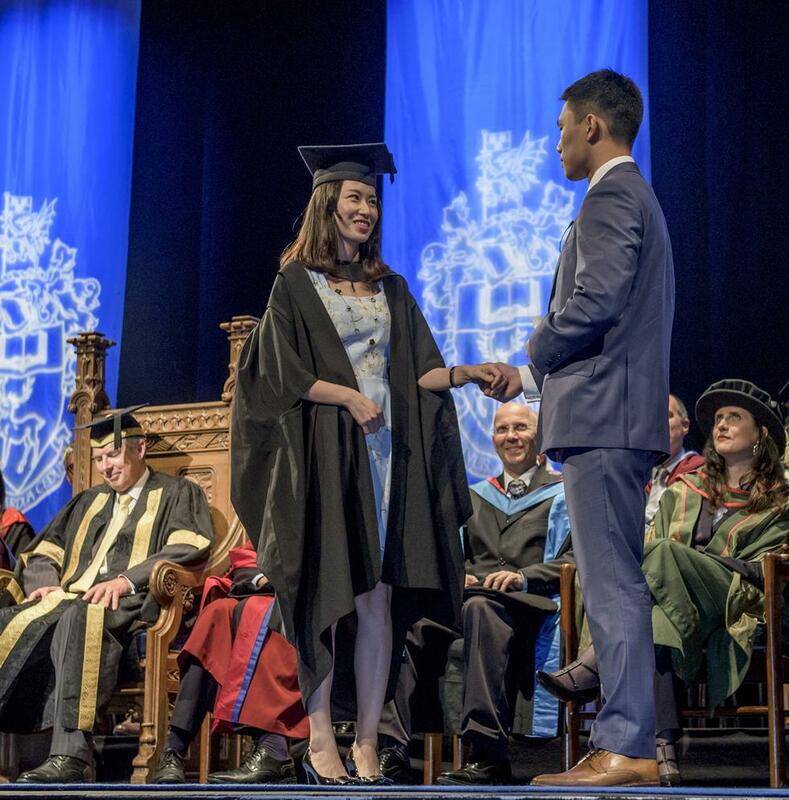 Masters student Shiyi Ying was given special permission to take to the stage towards the end of the ceremony so he could pop the question to Yu-Yen Ou, his partner of two years. Describing the University as a “magic place”, Shiyi invited her onto the stage and told her, “…deep inside I know you are the only one I can share the rest of my life with, because I love you.” He then produced a ring and asked her to marry him – to which she said yes, before the couple hugged – prompting applause and cheers from fellow graduands and staff gathered inside the Nuffield Theatre on the University’s Highfield campus. 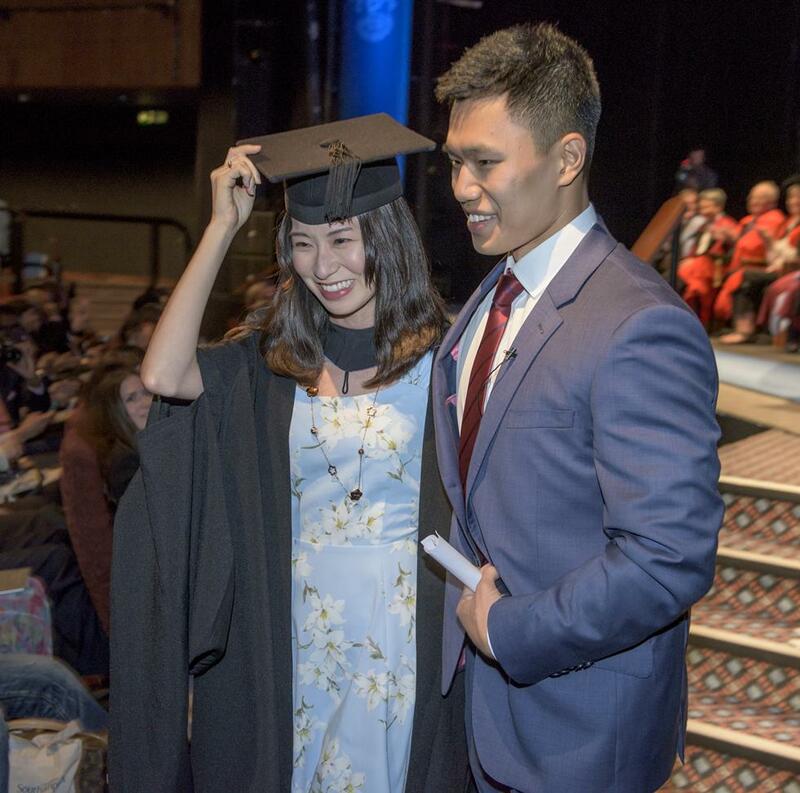 Both are international students and studied Masters degrees at Southampton Business School in MSc International Management (Shiyi Ying) and MSc International Financial Markets (Yu-Yen Ou).